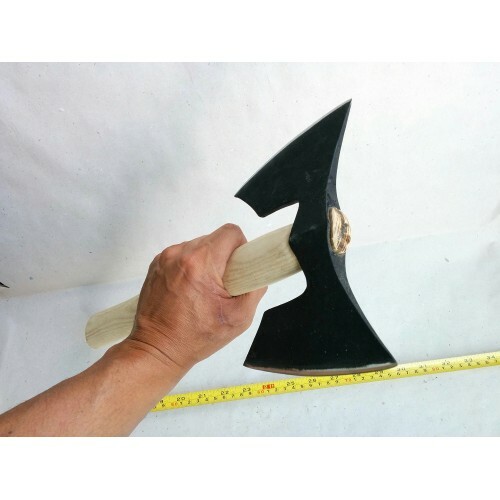 Dear buyer up for auction is that double bit axe! 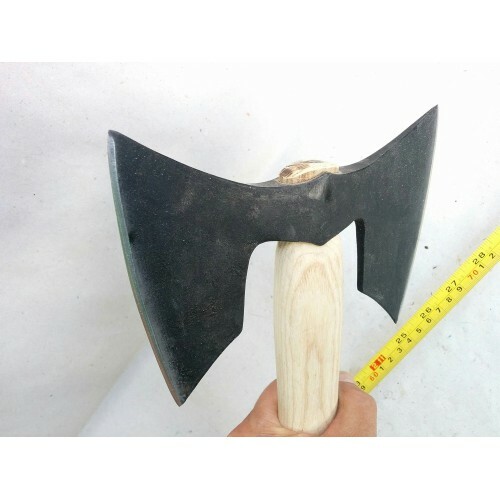 The axe head is forged from high quality cromium steel. 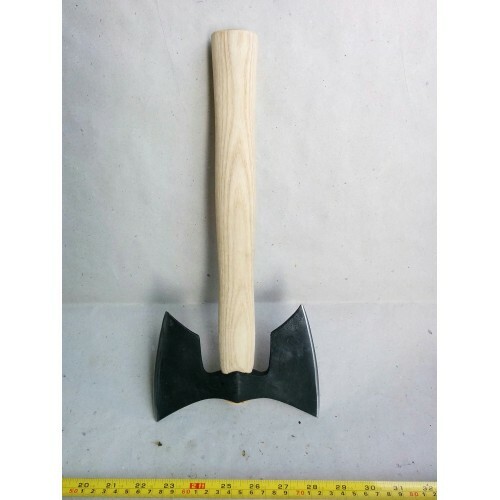 It is symetric and the pattern of the axe is according to the style of the ancient nordic / viking battle axes. 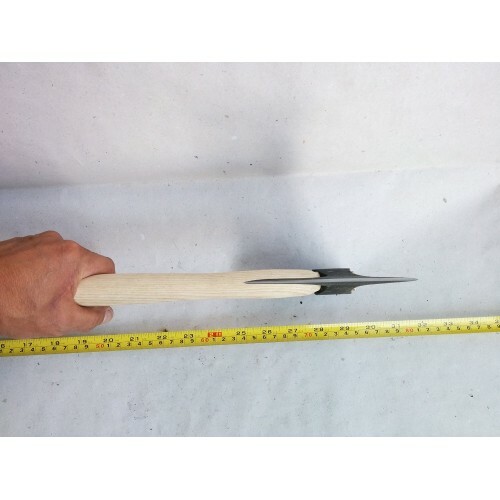 The handle is made from ash tree and it is not treated at all. 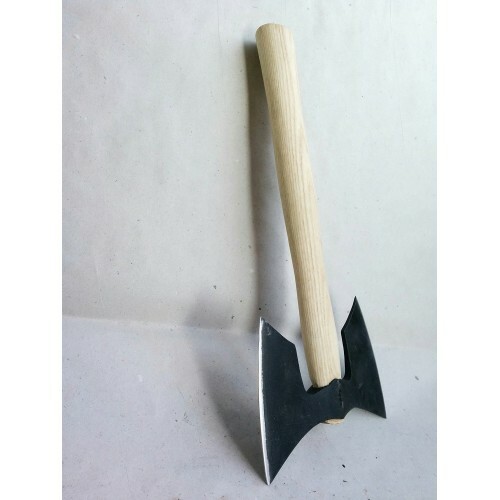 The axe have very sharp blades with edges! 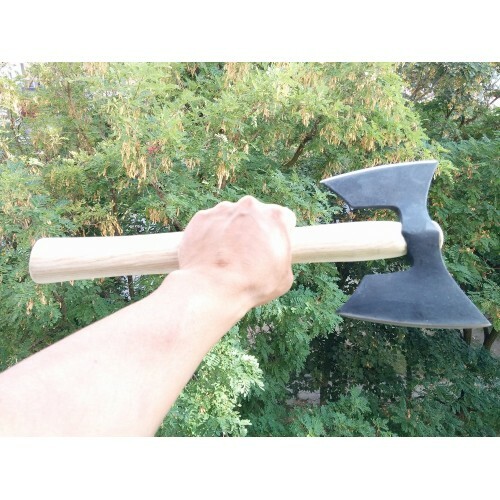 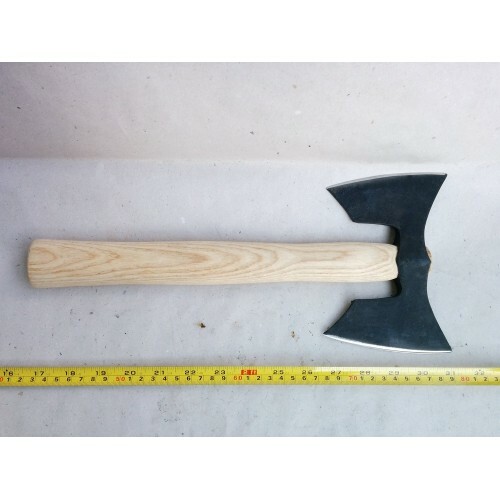 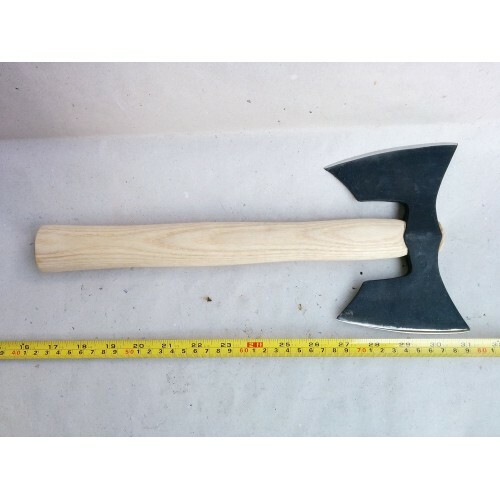 It is not a toy or decoration - it is a fully functional axe! 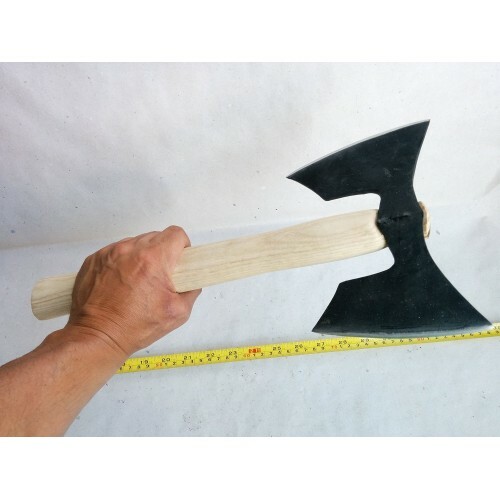 You should be over 18 to order!